I made my gift to the Festival’s Endowment Fund in gratitude for the years of music that Jeff and I experienced at the Festival, as an encouragement to maintain the creative spirit of the Festival, promote new works and artists, and in support of the Festival’s program and concerts which we hope will continue long into the future. We dedicated the 2017 Festival to the unwavering support Bernice and Jeff have given to the Festival. As career-long UCLA Professors, both understand the importance of philanthropy in support of non-profit excellence. They never missed a year of being among the Festival’s most generous donors. 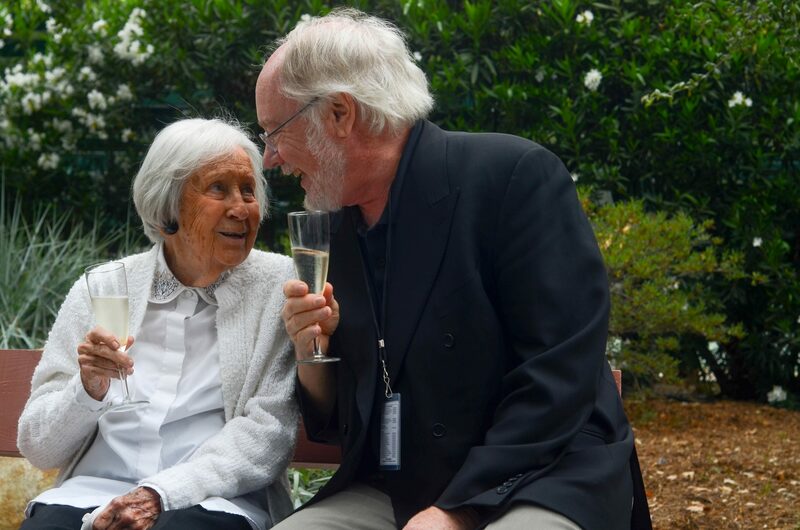 This year, in addition to her annual support for the Festival, Bernice has made a new and pivotal donation: an endowment gift of one million dollars. And, as she had hoped, her gift became inspirational for others. Upon hearing of this donatio n, our Board Chair, David Nygren, made a very generous bequest to this endowment of his own. These gifts and bequests to the endowment are core to insuring that the work of the Festival will continue, and the margin for musical excellence will be maintained. 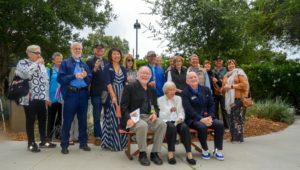 To honor Bernice and Jeff, we have placed, under the oaks in the lawn area, an historic bench from the Libbey Bowl with the same seat numbers, G 45 and G 47, where Bernice and Jeff sat together for more than five decades. Their loyalty and their philanthropy are an inspiration to all. 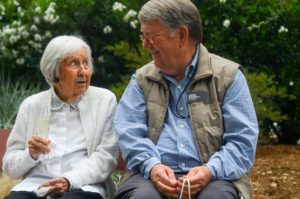 Bernice hopes that when you look at the bench you will be moved to join her in supporting the Festival with a current donation, and also consider a bequest or donation to the endowment of your own…. ensuring that you and others will experience the Ojai Music Festival for years to come.